“We receive many seal-failure complaints. And while most of these failures can be attributed to installation, assembly, poor hardware preparation or even misuse of the product, we always try to educate our customers as to the cause of failure and provide them guidance to prevent future problems. As this member knows, when a mixture of air and oil is compressed in a hydraulic cylinder it can ignite and burn, or even explode! This can result in mechanical damage to the cylinder and burning of its seals. And as you’ve probably gathered, the term ‘dieseling’ or ‘diesel effect’ is a reference to the combustion process in a diesel engine. The first is past the rod seal. 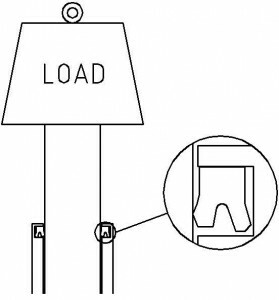 When a double-acting hydraulic cylinder retracts under the weight of its load, the volume of oil being demanded by the rod side of the cylinder can exceed the volume of oil being supplied by the pump. This is usually the result of a faulty or incorrectly adjusted load-control valve. Most hydraulic cylinder rod-seals are not designed to keep air out! 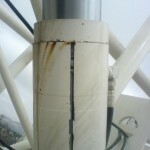 When this happens, a negative pressure develops in the rod side of the hydraulic cylinder, which can result in air being drawn into the cylinder past its rod seal. This occurs because most rod seals are designed keep high-pressure fluid in, and are not designed to keep air out–see picture inset. The second, common way air gains entry into a hydraulic cylinder is during initial installation. For this reason, it’s always a good idea to fill the chambers of the cylinder with clean hydraulic oil before connecting its hoses. And regardless of whether it is possible to pre-fill the cylinder or not, all newly installed hydraulic cylinders should be stroked without load multiple times, taking care not to develop pressure at the end-of-stroke. The reason for doing this is to purge as much air as possible from the cylinder, so that dieseling cannot occur. Failure to follow this procedure can be a costly mistake. And to discover six other costly mistakes you want to be sure to avoid with your hydraulic equipment, get “Six Costly Mistakes Most Hydraulics Users Make… And How You Can Avoid Them!” available for FREE download here.